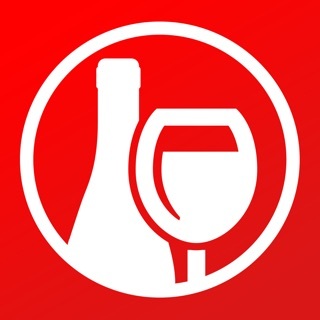 Take a photo of a wine label and instantly get ratings and descriptions with Delectable, the critically-acclaimed free app that helps you get access to the world's best wine. Keep track of your favorites and learn more about wine by following the world's leading winemakers, sommeliers and wine critics. 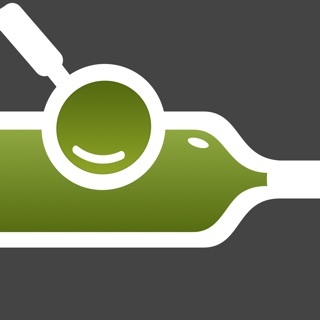 Buy wines you love from your phone. And all this works for beer and spirits too! Payment will be charged to your iTunes account, and your account will be charged for renewal within 24-hours prior to the end of the current period. Auto-renewal may be turned off at any time by going to your settings in the iTunes Store after purchase. Renewal will occur at the current subscription prices, which are $5.99 USD/month for Delectable Premium and $1.99 USD/month to make the app ads free. This version introduces fixes and enhancements to the recent version that includes major updates to how you can upload shots of labels that you took previously with your phone's camera. Now you can simultaneously upload multiple label photos from your camera roll. Select several images and they'll all appear in your profile ready to be reviewed and rated. Labels being uploaded from your camera roll one at a time now have formatting options so the image looks just right. If you want to use this app, do so at your own risk— do not assume they will behave with professionalism or integrity. Delectable developed an online store to sell wine. After several years of using this app, they began to use my notes, alongside my full name and picture. I had, by then, amassed a large library of wines that included not only my own thoughts and judgements about wines but also personal notes— on what occasions I’d drank wines, with whom, what we’d done. To opt individual wines out of this process, you needed to individually mark each wine as private— they provided no default status for a user’s entire account and there was no option to go back and mark older wines as private. Changing my name in the profile also did not fix this problem. I was horrified to learn that, if someone googled me, these hits created the first ten or so pages of a google search history— overwhelming any pages related to my career in the non-profit industry, creating issues of trust and doubts about my professionalism for my clients. My first few requests to take this down were ignored. Eventually they took most of them down, but it took months. We take privacy of your data very seriously. We do not collect any personal data, other than your email, which is required to set up an account, and we certainly do not post that publicly. We are happy to address any of your concerns directly as well. Please send us an email at support@delectable.com and we will get back to you promptly. 1) If you are posting your comment about a wine, make it private by tapping the padlock icon before pressing "Submit". The padlock icon will lock, become red and include the message that your wine is "Private to you". This means that your comment, including any review and rating, will only be visible to you in your profile. It will not appear publicly anywhere on Delectable. Please note also that if the padlock has been selected when you post one review, then the padlock button also remains selected for your next wine. In other words, choose to make a wine review private once and all posts will be private thereafter unless you actively choose to make a post public. 2) If you posted a wine publicly, it's certainly not too late to make it private, should you prefer: go to your profile, navigate to the wine you want to make private, tap the ellipsis button to pull up the menu, select Edit and then Make Private. As before, your review/rating will only be visible to you in your profile and will not appear publicly anywhere on Delectable. We are of course happy to help if for any reason these approaches to make your reviews/ratings completely private aren't satisfactory. Please feel free to reach out to us and we will take care of it in any way possible. Thank you for using Delectable. Doesn’t work as well as I would hope. On the plus side, the interface is nice and it’s easy to snap a picture of the bottle label. I’d like to see a bit of image processing to “flatten” the label to make it more readable. There’s no real organization options for the wines you’ve snapped and rated. A lot of the time the auto-identify doesn’t really work; it gives me similar wines by the same producer, but not what I’ve snapped. It means I have to manually edit the wine identity way more than I’d like. The estimated price is a nice feature when it works. However my biggest complaint is that I’d really like to be able to find a place to buy the wines I discover, but Delectable almost never can find a supplier. I end up having to use google to find somewhere to buy the wine. It would be good to be able to “follow” a favorite wine for deals or sales. I really wanted to like this app but I ended up just using it less and less over the years. As far as I can tell, if I don’t rate the wine, it doesn’t come up in my search results. That makes the app very unhelpful when I’m just trying to see if I’ve actually had the wine before (regardless of whether I rated it or not or have my own tasting notes or not). For the developer response - that’s not true. I show something like 182 wines. But when I click on the number of wines, only about 15 come up. I don’t know what is meant by “completely published your post”. All I know is that not all the wines I’ve saved are searchable. Which makes this app almost useless. And now it’s unintuitive as well since apparently I have to “completely publish” my post for it to be visible. What does that even mean?